Thanks for dropping by! We’re Richard & Caroline Wynn-Davies. 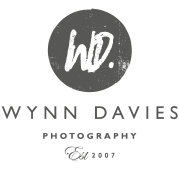 Modern, creative wedding photographers based in York. The main thing to know about us to begin with is that we're passionate about weddings: the people, the story, the emotions, the locations and backdrops, the intricate details, and we simply adore turning these things into timeless pieces of photographic art for our clients to treasure. We firmly believe that the real beauty of wedding photography lies in the pure magic of the moment. Natural, unforced and unforgettable. It's very difficult to explain how much we love weddings - each and every one is a unique event with unique people, emotions and moments for us to capture. We love taking the time to invest in the relationship with our clients well before the wedding so that they are completely at ease with us and so that the photos have that beautiful natural feel - and because we know them so well by the time the day arrives, we can't wait for the excitement of the morning build-up, can't wait to see them exchanging vows in the ceremony and can't wait to hear the speeches and see the first dance. It's never a chore. It's always a joy. That's why we love it. We'd love the opportunity to show you our work in person and hear about you, your plans and aspirations for your wedding and how we can help to make it truly unforgettable. We're Yorkshire-based wedding photographers however our work often takes us across the UK and abroad. Enjoy our website and we hope to hear from you soon! Head to the contact page for how to get in touch.